Owing to TokenPay community feedback, we have canceled plans for a public sale of EFIN coins. The ONLY way to get EFIN coins now is through this limited private coin sale available exclusively to eFIN Partner and Platinum Partners. If you want to buy EFIN coins and you’re not yet a Partner, you can easily upgrade your account and buy coins with one click at the above link. There are only a small number of EFIN coins available for this sale, so take advantage of this opportunity now. 5 million CBET coins will be airdropped to Partners & Platinum starting on July 15, 2019, at a rate of 500K per year for 10 years. 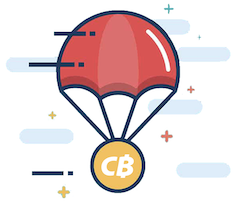 An additional 2.5 million CBET coins will be airdropped to Platinum Partners as an extra bonus, distributed at a rate of 250K per year (for 10 years) starting on July 15, 2019. Platinum Partners benefit the most by receiving the lowest possible price for & are able to acquire more coins in this very limited sale. You must be a member to buy and there is a very limited quantity available. Partners can purchase up to 1 million EFIN coins per account & Platinum up to 10 million. Platinum Partnerships will be increasing to €2,295 on April 20th, and only 1,000 Platinum Partnerships will be available for 2019, so take advantage of this offer now and lock in your rate forever. EFIN Coin Exclusive Sale is LIVE for Partners & Platinum ONLY was originally published in TokenPay on Medium, where people are continuing the conversation by highlighting and responding to this story.